The current issue of Archaeology magazine features a Special Section devoted to debunking ‘alternative’ archaeology. While the Open Letter is designed to be self-explanatory, it’s not a bad idea to read the article first. Or maybe better – after. It’s posted on their website. Short of having my books singled out and condemned by an official George W. Bush Presidential decree, I could not feel more flattered. I regret only that you have no physical equivalent of an Oscar or Tony to go with it. It sure would look good on my old oak filing cabinet! Right next to the Emmy I won for ‘Best Research’ for MYSTERY OF THE SPHINX, which, by the way, was also one of four nominated for Best Documentary of 1993. Anyway, I think that extraordinary disparity in public opinion a healthy sign, don’t you; proof that democracy is still with us, alive and well, despite appearances to the contrary? Would you be kind enough to send me a parchment diploma, a little printed certificate … something, anything to hang on the wall to prove our show won? There is little doubt that presenting science (and archaeology) on television is a difficult business. The slow pace of change in scientific thinking .the habitual lack of consensus among academics about details (ital. mine, jaw), and the often complex nature of the arguments involved place pressures on producers … The unspectacular and painstaking nature of the discipline does not make for particularly spectacular television. For how long will viewers sit through scenes of dirt sifting through knee- high ruins? That may sound plausible but it’s claptrap. Interest in archaeology is no more dependent upon sifting through dirt than interest in baseball is dependent upon spring training or bat manufacture. Like baseball fans, archaeology fans revel in the game — which in this case is not dirt-sifting, but uncovering and interpreting the past. It is the significance and the relevance of those discoveries that generate interest. The key word here is ‘significance’. The audience will sit through plenty of ‘dirt sifting’ if the stakes are high and valid Your prize winning selection for Worst Television Archaeology’ had its obligatory patina of network glitz but most of that show was devoted to a complex scientific geological argument. The audience was riveted, and still is. It is not that ‘people want so desperately to believe in Atlantis-style tales’, it is that they are smart enough to recognize the comic triviality of your petty discipline. Again, Fagan inadvertently supplies the clue (just about everything Fagan supplies is inadvertent) Those heated arguments over ‘detail’ (i.e., the Big Picture is agreed upon by the ‘experts; only ‘details’ remain) appeal to no one but yourselves. The archeologically uninitiated cannot be made to warm to furious debates over how many asps killed Cleopatra (Serpent in the Sky, p.9). Especially when profound mysteries, self-evident to all acquainted with the problems involved, go unexplored, their very existence left doggedly unsifted by archeological consensus. E.g., we do NOT know how the pyramids were built, we do NOT know why they were built (there is NO evidence, none, that the pyramids of Giza and Dahshur ever served as tombs, though other pyramids did. They may have been tombs, but there is NO evidence that they were – got it? Science is supposed to be based upon evidence, not inference.) We do NOT know how the 200 tons blocks of the Sphinx and Valley temples and the paving blocks surrounding the Khafre pyramid were moved and put into place, etc., etc., etc., etc. People are not as stupid or as gullible as you think they are. They don’t buy your version of the Big Picture. Simple as that. Unfortunately, they are also not very discriminating. They tend not to distinguish between, say, a Von Daniken and an R.A. Schwaller de Lubicz. But then, neither do you. To understand your unsolvable PR and image problems and the public’s stubborn refusal to accept your word as Gospel, all you have to do is reflect upon what you wrote in your own Special Section – and, more important, what you didn’t write. MYSTERY OF THE SPHINX wins your First Worst Prize, and yet, in all those pages devoted to the wholesale denigration (and often misrepresentation) of the work of Graham Hancock, Robert Bauval and everyone else who dares challenge the Sacred Archeological Status Quo there is no response to the geology –the water weathering to the great Sphinx– precisely that which qualifies it for Worst Place honors. Not a word. How odd! But there is a good reason for it. Because you have no response, that’s why. And it is that (so far) irrefutable geology that justifies and legitimizes the entire search for alternatives – from carefully developed and sound mathematical and astronomical theories down to Von Danikin and the wilder shores of alien intervention. Until you find a way to disprove the geology, the search itself is neither ‘bogus’ nor ‘pseudo’, though some of the material cited as evidence may well fit those categories…Curious note: if an archeologist is disproved on some significant detail (say that, given enough si through dirt, it is established that Cleopatra committed suicide using just one asp after all) multiple asp proponents will be called ‘mistaken’ ‘wrong’, but if those outside the archaeological Vatican make a no more egregious mistake, they are practicing bogus or pseudo-science. To bring Archaeology readers up to date on the geology– since developments in this ongoing investigation somehow do not find their way into your pages– here is a brief update. Our geological evidence was presented first at the Annual Meeting of the Geological Society of America in 1991; further compelling evidence was presented at the GSA Meeting in 2000, both times with the overwhelming support of attending geologists — and shrieks of outrage from archaeologists and Egyptologists.3 Over the intervening years a handful of opposing geologists, most with a stake in academic archaeology or Egyptology, have offered mutually exclusive alternative theories to account for that weathering ranging from demonstrably just plain wrong (K. Lal Gauri) to certifiably inept and inane (James ‘Wet Sand’ Harrell’s theory.) All have been easily, systematically and conclusively dismantled and rebutted point by point. Meanwhile, two English geologists, Colin Reader and David Coxill, independent of each other and of ourselves, have studied the matter on site and support the theory (precipitation-induced weathering) unconditionally, categorically necessitating re-thinking the dating of the Sphinx and with it pretty much everything archeologists accept as dogma regarding very ancient history. The actual dating remains a matter of debate so the extent of that rethinking process cannot be determined at this point with certainty. But that it must be radical is apparent to all but yourselves.4 Which is one reason why a quarter of a billion people (rough estimate) have seen MYSTERY OF THE SPHINX and been won over by it. It is often bought by teachers (sometimes with their own money) to show to students from grade school on up through college level; it has considerable support among academics and scientists across a spectrum of disciplines not in danger of caving in from the implications of a vastly older Sphinx. (Threatened by evidence as revolutionary as this in their own fields, they’d probably react as you do, but that is not the issue here.) And it is even taken seriously by a handful of credentialed Egyptologists and archeologists, who mostly keep quiet about it, not wanting to subject themselves to the predictable academic auto-da-fe they know will be their lot if their interest is revealed. It is, however, discussed briefly but taken seriously by Egyptologist Edmund Meltzer in his essay on the History of Egyptology in (that encyclopedia of New Age pseudo-scholarship) The Oxford Companion to Egyptology edited by Donald Redford. Closet New Age flakes show up in the strangest places, don’t they? While our geological evidence does not in itself prove the existence of a physical Atlantis (we never said it did) it goes a long way toward proving the existence of an ‘Atlantis,’ a highly developed civilization capable of moving around 200 tons blocks of stone around at a time when civilization is not supposed to have existed at all. In other words it scuttles the historical context of your entire discipline. Yet not one word about the geology in your pages of carefully orchestrated debunkery masquerading as scholarship. Strange omission! Yet hardly unique. Your fourth place ‘Best of Television Archaeology’ entry, ATLANTIS REBORN AGAIN (‘Systematic Dismantling of Graham Hancock’s proposition about his ‘Lost Civilization’) resorts to the same chicanery. In that television equivalent of Archaeology’s hatchet job there is also no mention of the geology of the Sphinx. 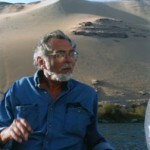 A long filmed interview with Schoch on the subject was carefully edited down to a brief appearance in which he gives his negative opinion on the underwater Yonaguni formations. (This striking site, with its remarkable geometric angular ledges and walls is believed, by Hancock and others, to be man-made, or at least man-doctored. If so it would be the ‘smoking gun’ testifying to the ‘Lost Civilization’ we are looking for. Schoch and I are 99% convinced that it is wholly natural. But it is always wise to leave that 1% open. As they say in the ads for the New York State Lottery, ‘Hey! You never know.’) So Schoch’s opinion was good enough to refute Yonaguni, but not good enough to support the water-weathering to the Sphinx. There’s no mention of that. In a court of law, that’s called ‘withholding evidence’ and it’s a crime. * If Academic Malpractice were a crime (not a bad idea!) a lot of archaeologists wouldn’t be walking around loose. Chris Hale, the producer of ATLANTIS REBORN AGAIN, largely escaped the consequences of withholding evidence. As unprincipled as you but less maladroit, he had the wit not to hand out a First Worst Prize. And it is difficult to prove ‘intent’ when the evidence is totally excluded. But you, in your debunking zeal, could not resist calling attention to the geology by bestowing the prize and then conveniently failing to discuss what qualifies it for the honor. Presumably you thought no one would notice? Now they will. Thanks to the internet hundreds of thousands, maybe millions, will notice. Now this is a curious, wholly subjective statement coming from a self-proclaimed scientist supposedly devoted to objective truth, and it merits dissection (or, more accurately, trisection). ‘Better’ is not an ‘odd notion’. It is a judgement call. Me? I would prefer to live in world without hydrogen bombs and traffic jams, a world where you can drink the water. On the other hand, even I would rather go to a 21st Century dentist than a 21st Dynasty dentist. On balance, I’d say ancient was ‘better’, but it depends entirely upon how one’s values are weighted. Fagan has every right to disagree — which in turn I might call an ‘odd notion’. ‘More peaceful’? Well, since the world has never been less peaceful than it is at present, this does not seem such an ‘odd notion’ either, especially if you go back far enough. Old Kingdom Egypt was most assuredly more peaceful than anything around today. That is demonstrable. We put the bulk of our creative energies into shopping malls, weapons of mass destruction, Hollywood and Television trash, bobble-head dolls and Disneyland, with a dollop left over for clever but emotionally bereft science and technology, most of it destructive and/or frivolous; a small percentage of it undeniably beneficial. Egypt (and all other ancient peoples to a greater or lesser extent) put their creative energies into temples, tombs and pyramids all designed to facilitate the quest for Immortality. That is a ‘fact’, which should be apparent even to archaeologists. But does it qualify for ‘spiritually attunement’? I’d say, yes. All you have to do is go to Egypt and experience it for yourself. It is self-evident … to all but the emotionally defective and spiritually dyslexic. Still, it is a judgement call. It has nothing to do with ‘science’, not our science at any rate. But that it should qualify as an ‘odd notion’ in the Fagan lexicon is revealing. To our Church of Progress (materialist, rationalist, Darwinian) ‘spiritual’ is a synonym for ‘superstitious’ and ‘spiritually attuned’ is therefore meaningless. There can be no attunement if there is no spirit. So why use that particular word.? Why not grant the ancients their demonstrable ancient preoccupation with superstition, and leave the pseudoarchaeologists to theirs? After all, we are not threatening your biological survival — the only ‘value’ permissible in your one-dimensional Darwinian cosmos (though that, too, is purely subjective. I won’t go into that here). Yet it is deemed dangerous. Pseudoarcheology must be contested; stamped out. Why? Like academic dogs in the manger, you would deny others access to that which you are incapable of digesting yourselves. Spiritual attunement cannot be acknowledged. The ancients could not possibly have had knowledge or faculties you do not have. Everything must be kept locked up nice and safe in your little Darwinian box just in case someone pries open the lid and finds the emperor’s new clothes inside. It’s your loss. But if you’re actually interested in understanding why vast numbers of people refuse to accept your establishment expertise, that is why. Your special section will change nothing. It is an exercise in flawlessly sustained futility. You also do not have your facts straight. A discipline exulting in minute detail (cf. Fagan) should be scrupulous in such matters. The Mars material you deride in MYSTERY OF THE SPHINX was never shown on TV. It was not part of the original NBC special, but was rather an addition to the expanded home video version. And I make it absolutely clear in that version that I am not endorsing either the Face or (especially) its putative relation to Egypt, but rather, consider the evidence supporting the notion provocative enough to merit inclusion. The Face by the way, has NOT been ‘shown to be completely natural’; though NASA, the space equivalent of orthodox archaeology, declares it so. There are a number of astronomers, geologists, physicists and imaging experts, no less qualified than those at NASA who do not accept that declaration. Since this is not our field, we happily leave open that particular question. P.S. Oh yes…and the Anupadeshi mentioned above… You’re probably wondering who they are. They should be included in the well-known Hindu caste system (probably derived from still earlier Vedic sources and initially, it’s thought by some, not hereditary) yet they are never mentioned in standard texts. According to the shadowy 19th Century guru and scholar Sri Viram Pradesh (who spent decades in Europe and America studying the western world) the Anupadeshi have always been with us, but it was only the onset of the Kali Yuga (the ‘Iron’ or Dark Age) that produced conditions favorable to their unchecked proliferation; to the extent that they now represent a class of their own, a sub-species in the long process of human devolution and debasement responsible, at its nadir, for the establishment of our own Church of Progress. The Anupadeshi are the caste below the Untouchables: the Unteachables. Readers of this open letter would do well to read the entire Archaeology article. Those who do not subscribe to the magazine do not have to waste good money on it to support still more dirt sifting. The Special Section is posted on their website Emailing or writing your reactions to Archaeology is recommended. This is a test; this is only a test. Below is a review of Bathing in Public in the Roman World by Garrett G. Fagan, posted on Amazon.com by Bruce Loveitt. In quoting it, I have deliberately made use of the scientific methodology invariably employed by Garrett Fagan and the other authors featured in Archaeology’s special section. See if you can catch me out. This book makes me remember why I chose not to go to graduate school! Every page is filled to the brim with footnotes and the appendixes, index and bibliography, etc. are as long as the book is itself! The author hems and haws so much and is so hesitant to commit himself to a definitive statement that I wanted to grab him by his lapels and give him a good shaking! The middle section of this already brief book (220 pages of actual reading material….but don’t forget those footnotes that sometimes take up 1/2 a page) is mind numbingly boring and almost enough to totally r the book. This section deals with who actually decided to build or repair the baths and is full of statistics that I’m sure make Mr. Fagan’s colleagues happy but will not endear him to the public. The initial presentation of our evidence at the GSA Meeting in 1991 provoked a storm of coverage from both the mainstream and scientific press (surprisingly even-handed, given the stakes). In an interview with the science editor of the Boston Globe, asked why archaeologists and Egyptologists responded with such unanimous fury, I told him that their opinions were of no consequence. Our evidence concerned the weathering patterns in rocks, and on this subject, an archaeologist’s or Egyptologist’s opinion carried no more weight than a proctologist’s. This, Schoch told me, ratcheted up the outrage and a vicious attack on Schoch by a B.U. Egyptologist was published in the in-house B.U. newsletter. In a private letter to the author (subsequently widely distributed by her) I tried to slake the flames by pointing out the proctologists did not appreciate my comments either. They said their job was to cure sick assholes; they didn’t like being compared to them. Unfortunately this was not accepted in the conciliatory spirit intended. Colin Reader, while supporting the water-weathering hypothesis unconditionally, nevertheless attempts to fit the carving of the Sphinx within accepted dynastic chronology, but pre-IVth Dynasty. While we admire Reader’s careful work, we feel this interpretation cannot be supported, Explaining why is beyond the scope of this Open Letter. For who is it with the authority to judge what is ‘extraordinary’ and what is not? Why, its own Maatzis-in Residence of course. Who else? What this means in practice is that no matter how compelling the evidence presented may be, it is never ‘extraordinary’ enough. Paradigm preserved.